Hotel Innvestor is a hotel investment banking platform dedicated to raising debt and equity capital for high-quality hotel projects nationwide. Our Founder and President, Tim L. Edgar, has been active in the hotel industry since 1991 in hotel operations, brokerage and ownership. During his 19+ year career in hotel brokerage, Tim sold over $1.1 billion in hotel properties and underwrote several billion dollars’ worth of additional projects. He has partnered with Chris Tychsen CRPC – VP of Investments & Capital Markets. Chris brings 20+ years of extensive business experience working with start-up & venture capital firms in the environmental, technology, and financial-related industries. Our Vice President of Operations, Saundra Edgar, has been involved in the management of multi-million dollar commercial projects for the last 20+ years. These projects have averaged +/- 150 employees under her management. All of our founding members are graduates and friends from the University of Southern California. Our goal is to secure exceptional hotel projects sponsored by best in class operators and developers, and to provide them with the necessary debt and equity capital to make their projects a success. Our target customers are 1) operators with outstanding track records and the highest ethics and character and 2) passive accredited investors. Hotel Innvestor’s primary focus is select service, extended stay and premium limited service franchised hotels in the top 100 MSA. In general, we will look to raise equity capital for hotels with a minimum $75 RevPar (revenue per available room) and focus on raising debt for properties with a minimum $50 RevPar. Hotel Innvestor is prepared to engage in a variety of quality hotel projects; we believe in our operators and their proven track records, and we will bring our success to them – one Innvestor at a time. Hotel Innvestor uses existing hotel industry relationships, market- and brand-specific knowledge, and methodically sound underwriting utilizing our proprietary model to provide accredited investors the opportunity to invest with the brightest minds in the highest quality hotel projects nationwide. By matching these high quality projects with investors, we seek to provide a cost-efficient source of alternative capital for hotel operators for their projects. In turn, we will provide opportunities to a wider range of passive investors to invest in these pre-vetted offerings. Tim L. Edgar is the Founder and President of Hotel Innvestor, the first web-based, hotel specific investment banking platform in the country. 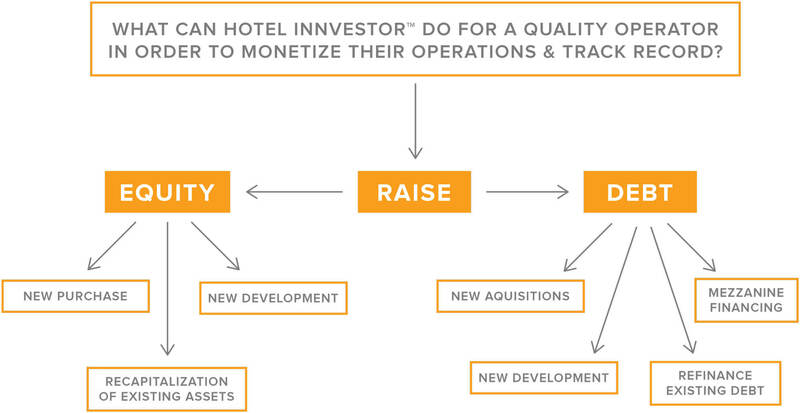 Through this platform, Hotel Innvestor raises debt and equity capital for high quality hotel projects nationwide and originates solid risk-adjusted returns for Accredited Investors. Mr. Edgar started his career in hotels in 1991 working at the Beverly Hilton while studying at the University of Southern California. After graduating from USC, Edgar went into hotel property brokerage, where he underwrote hundreds of hotel projects and personally consummated over $1.1 billion in hotel property sales. Tim has also been involved in the ownership of various debt and equity hotel investments and is currently an active officer in a 200-room hotel in San Francisco, California. 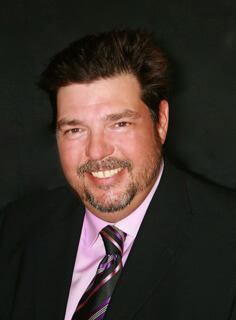 Tim is a recognized industry expert in crowdsourcing for hotels and has been quoted in publications such as the Orange County Business Journal, the New England Real Estate Journal, Hotel Business, Boston Hospitality Review, Hotel News Now, Crowdfund Insider and Real Estate Fund Manager. Edgar has also been a featured speaker on the subject at various conferences including the North American Tourism & Hospitality Investment Conference (NATHIC) in Chicago, Hotel Equities and Lender Perspectives Conference (HELP) in Boston, Meet the Money Conference (MTM) in Los Angeles, The Lodging Conference (TLC) in Phoenix, NATHIC 2015 in Miami, Alternative Investing Summit (AIS) in Laguna Beach, California and the Hunter Hotel Conference (HHC) in Atlanta. Mr. Tychsen brings 20+ years of extensive business experience working with start-up & venture capital firms in the environmental, technology, and financial related industries. Entrepreneur and former Private Banker & Global Wealth Investment Advisor at Merrill Lynch, Chris holds the Series 7 & Series 66 licenses, along with the CRPC® – Chartered Retirement Planning Counselor designation. University of Southern California – Entrepreneur Class of 1994. 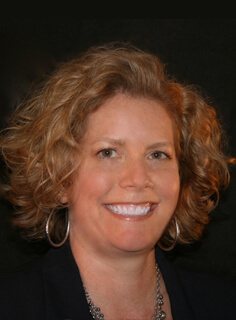 Ms. Edgar has 20+ years of experience in commercial construction management in California. She has estimated over 1000 projects nationally and has managed several construction projects ranging from $2,000,000 to $28,000,000 in value. Ms. Edgar brings significant experience to the team by managing 100+ employees; creating and tracking budgets and schedules; conducting contract negotiations and implementing contract compliance. Graduate of University of Southern California, BS Civil Engineering.